The opening round at the 2019 Masters is officially in the books, and there's some familiar names sitting atop of the leaderboard. 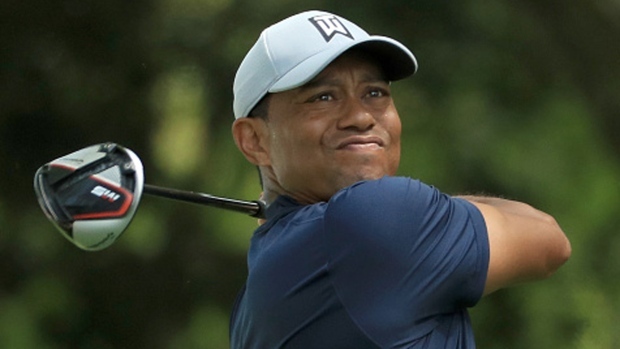 Four-time winner Tiger Woods, who took home the green jacket by winning the prestigious tournament in 1997, 2001, 2002 and in 2005 had a solid round of Thursday, finishing two under with a score of 70, finishing just one shot back of the leaders. On 17, a poor tee shot forced him to bogey, dropping him out of tie for first place. After Bryson DeChambeau and Brooks Koepka both shot 6-under for an opening round score of 66, Woods dropped farther down the board, putting him in a tie for 11th. Still, shooting a 70 in the first round is nothing to frown upon, especially when you factor in Woods' history at Augusta when he shot the same score in the opening round in the past. Given his illustrious history, it's quite conceivable that Tiger could be hanging around with all of golf's greats come Sunday. If anything, those around him will know that there's a Tiger lurking and looking to make things interesting, which at the very least is all you can ask for if you're a golf fan.